The mission of the Association of Physician Leadership in Care Management (APLCM) is to support the evolving role of physician advisors, physician case management and transitions of care leaders, medical directors and chief medical officers who work with case management teams. Support for the physician role in the case management team includes collaboration, networking, research, education, training, knowledge and publication opportunity. Founded in November 2017, the APLCM has been established as a nonprofit association with the support of the American Case Management Association (ACMA) resources, member benefits and financial support. APLCM’s Founding Board of six national physician leaders will develop and direct activities to benefit the physician care management community, the physician members of ACMA and ultimately patients and families. ACMA and the APLCM Founding Board both respect multidisciplinary collaboration in defining and supporting the practice. With the formation of the APLCM, ACMA seeks to broaden its support for the integrated case management team and specifically the physician advisor role. The ACMA provides thought-leadership and expertise including education, training and certification for Case Management and Transitions of Care professionals. Since its inception in 1999, ACMA has promoted a collaborative practice model and has led to the establishment of standards for the case management practice. Foundational to all ACMA activity is the principle that case management is not the domain of one clinical discipline but rather demands the blend of multiple disciplines to assure that patients receive high-quality, cost-effective and accessible care in their transitions across the healthcare continuum. Physician engagement, roles and leadership in case management are increasing visible in evolving organizational structures and models of care management. ACMA has always included physicians in its membership, although the percentage of participants has been smaller compared to nurses and social workers. 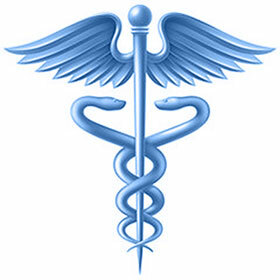 With its commitment to providing support, education, training and networking to all case management professionals, ACMA has historically included physician developed content in its publications and developed a physician advisor course library in its Compass online learning system that teaches and tests solid foundational knowledge in case management and physician advisory practices.